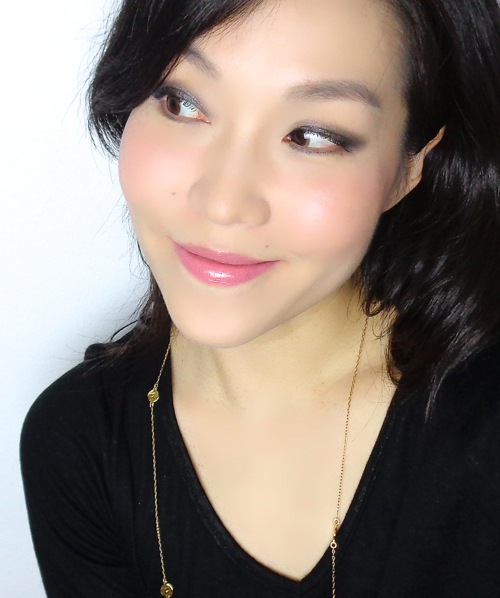 Clinique Cheek Pop is a darling blush if you ask me. There are many things to love about this little one. The adorable look, simple and sturdy packaging, 4 of very wearable shades, good color payoffs and lasting power, and even the price that is just right. True I don't think the colors are all that unique, although they pretty much cover the whole spectrum. I was still inclined to pick one up mostly attracted by the "powderless powder" finish it supposedly gives. I also considered Plum Pop which is another cool toned pink but a little lighter than Berry Pop. To me, Berry Pop looks brighter and has more red. The texture is indeed unique. 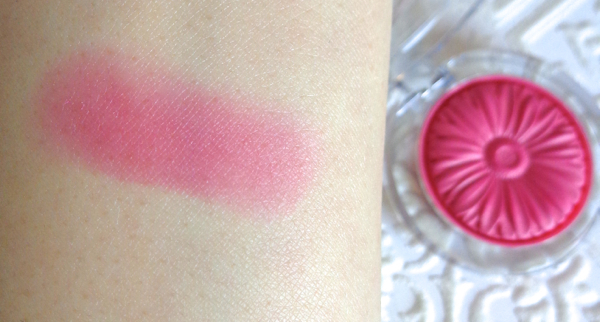 The blush feels very dense and hard to touch, and there is virtually no fallout. I used my fingertip for this swatch, and you can see how creamy and even the finish is. Berry Pop is a vibrant raspberry pink. It is quite pigmented but I find it is not as difficult to blend out as I've read from some reviews. I also think it has to do with the embossed surface that deposits the color unevenly on the brush. For this, I use a fluffy brush like the Real Techniques blush brush (which I normally don't like for blush since I find it awkwardly big) with a gentle patting motion. 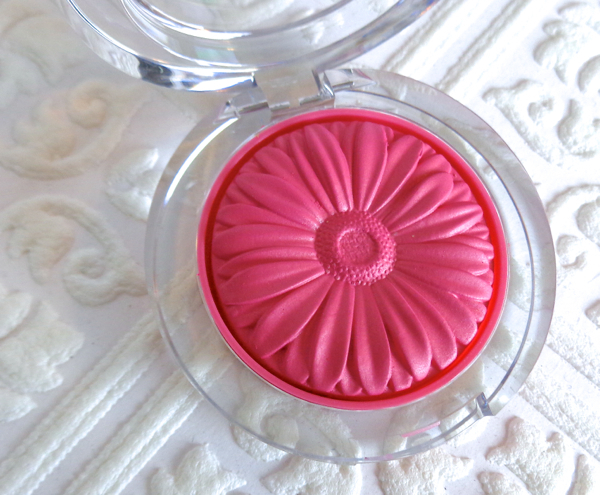 I adore Berry Pop mainly for the "powderless" finish that mimics the one of cream blush. Tarte Natural Beauty (reviewed here) is more of a red. 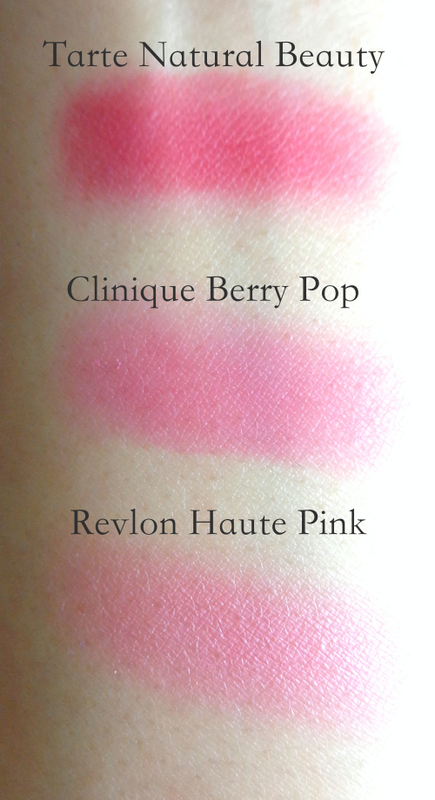 Revlon Haute Pink (reviewed here) is closer in color but the powdery finish is completely different. Here is how Berry Pop looks on me. 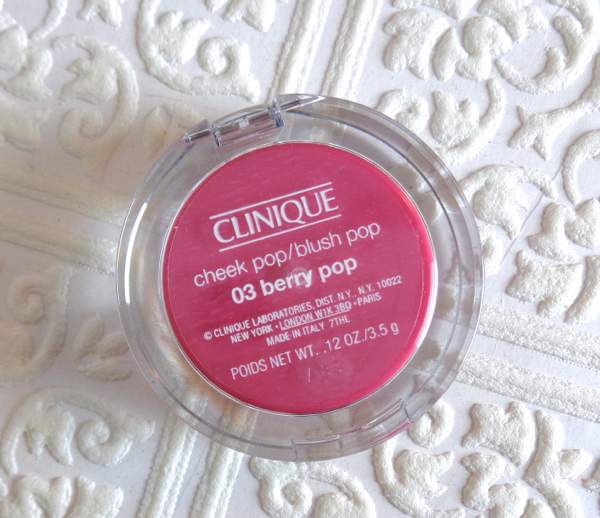 Have you tried Clinique Cheek Pop? I agree with you, the way this product looks is too difficult to resist! I love the finish. As you said it is powderless and just looks part of the skin. I was going to ask what you were using on your lips on the last pics before I read the caption. It looks awesome. LOVE it on you! It's perfect! I love these blushes so much-pretty sure they're my favourites right now. I hope they come out with more shades! Soooo beautiful, I'm dying to get one. I actually want that exact same shade or ginger pop! I love berry shades, I'm such a fan and I love the pigmentation of it. The packaging of the product is just too cute and I don't think I'll be able to hold off for very long! 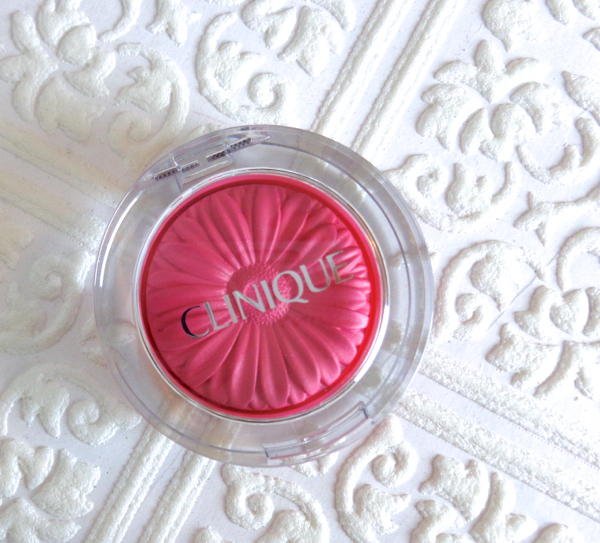 i have not heard one bad review about these clinique blushes...will definitely have to give it a try. been needing a new pink blush, too. This is so pretty on you! How does it compared with Tom Ford's blushes in terms of quality? My reason tells me that i dont need more blushes after spoiled by TF, but i still can find some excuses like it will be perfect on vacation cause it's so travel friendly ! They are too hard to résist ! Haha, we all need a bit of justification in our lives! ;) This looks adorable on your cheeks, love that youthful, rosy flush it gives. I'm also primarily intrigued by the formula of this - especially how it has no powderiness and is dense and reminds you almost of a cream blush in finish. I agree the shade selection isn't the most unique but I may have to check these out in person next time I'm at a Clinique counter. It really is super cute and this is a nice POP of colour for spring. Think you'll pick up more now that you have this one? I keep feeling like it's an all-or-nothing deal with these for me, lol. love the shade on you. So pretty but you have such a nice complexion, anything would look awesome on you. I have the ginger pop and love the unique texture of it. This is one of the real deals from this spring collection. I think they should be a permanent line! 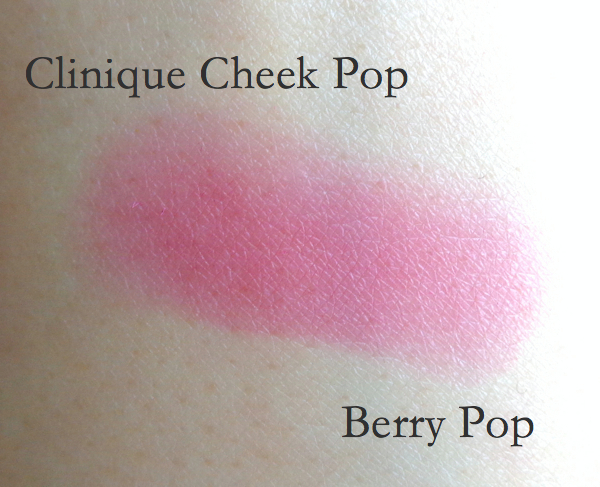 I adore these clinique cheek pops, berry pop is my favorite too!